Historically, the city was considered a center of commerce, knowledge and culture, a haven for safety and a place of opportunity. Today, however, cities are widely viewed as centers for crime, homelessness, poverty, unemployment, traffic, pollution, and other social ills. In many cities, government increasingly dominates life, consuming vast resources to cater to special interest groups. Decision-making has become intensely politicized, bureaucratic, and largely unaccountable to the populace. 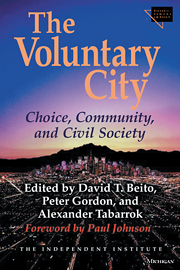 The Voluntary City assembles a rich history and analysis of private, locally based provision of social services, urban infrastructure, and community governance. Such systems have offered superior education, transportation, housing, crime control, recreation, health care, and employment by being more effective, innovative, and responsive than those provided through special interest politics and bureaucracy. The Voluntary City reveals how the process of providing local public goods through the dynamism of freely competitive, market-based entrepreneurship is unmatched in renewing communities and strengthening the bonds of civil society. A refreshing challenge to the orthodoxy that government alone can improve community life, The Voluntary City will be an essential reference for anyone interested in the future of cities, including scholars and students, policy-makers, civic and business leaders, and urban citizens. Posing the Problem: The rise and decline of American civic life has provoked wide-ranging responses from all quarters of society. Unfortunately, most proposals for improving communities rely on renewed governmental effortswithout recognizing that the inflexibility and poor accountability of governments have often worsened societys ills. Most would-be reformers seem profoundly unaware of the wealth of historical and contemporary evidence that decentralized, competitive markets can contribute greatly to community renewal. What is a Voluntary City? It is a community built and maintained by private initiative and cooperation, not by the coercive political institutions that many people assume are needed to make communities work. The voluntary city is a paradigm for the community of tomorrow. It is also a historical reality: All of its key pillarsthe physical infrastructure, services, and institutional framework that make communities livablehave at various times and places been provided by private initiative. Current legal, political and social trends suggest that its separate pillars may unite to build complete voluntary cities, allowing us to enjoy the myriad benefits of living in a truly civil society. Compassionate Mutual Aid: Before the rise of the welfare state, mutual-aid societies provided social services to millions of Americas, Britons and Australians. By 1925, member societies of the National Fraternal Congress represented 120,000 American lodges. Member benefits often included medical care, unemployment insurance, sickness insurance, and other services. Responsive Law Enforcement: Community policing is seen as responsive to local needs because it is relatively decentralized. Law enforcement in Britain in the 18th and 19th centuries was even more decentralized and responsive because the private sector provided for public safety and the enforcement of contracts. When Britains Bobbies (public police) later came on to the scene, they were jeered not praised. Fairer Laws: The Law Merchant was a non-governmental system of commercial-dispute resolution that arose in Europe after the collapse of the Roman Empire. Merchants viewed it as fair and abided by its decisions because it was created and administered by and for merchants. The Law Merchant was highly successful until governments began to subvert it and expand their own power. But because government-run legal systems have become increasingly slow and arbitrary, the Law Merchant is returning in the form of private arbitration and mediation services, which now help resolve criminal as well as commercial disputes. Educational Innovation: Prior to state involvement, literacy and school attendance rates in England, Wales, and the United States were 90 percent and rising. Perhaps more surprising is that private education is enjoying a remarkable renaissance in many developing countries today such as India, Brazil, Colombia and South Africa. In these countries, a large private-education industry, often aimed at serving the poorest of students, exists to alleviate the failure of government-run schools. Government Failures and Market Challenges: Many laws governing cities are based on faulty notions about what governments are likely to achieve. In contrast, the non-governmental alternatives presented in The Voluntary City are based on historical case studies that illustrate the difference between entrepreneurial incentives and political incentives. Private entrepreneurs typically deliver better public goods and services than do government bureaucrats, and market failure is less common than government failure. Civil society has received renewed attention since the Berlin Wall fell and took the ideal of central planning with it. Some observers have suggested that the voluntary institutions of civil society are now, to paraphrase Marx, specters haunting the worldalbeit helpful ones that can deliver the health, prosperity and well-being that collectivist economies could not. The case for civil society is stronger than most of its enthusiasts realize. As the authors of The Voluntary City show, history is replete with enough examples of well-functioning voluntary institutions to merit a radical reconsideration of the presumed need for government involvement in many areas of civic and commercial life. Roads and bridges, education, housing, social welfare, land-use planning, commercial law, even policing and criminal prosecutions have been provided effectively by the non-governmental sector at various times and places in the past. The presumption that markets cannot provide adequate urban infrastructure is an urban myth quickly dispelled by The Voluntary City. Stephen Davies (chapter 2) begins by reexamining the evidence and showing that the English cities during the industrial revolution were not chaotic shantytowns whose lack of zoning and building codes undermined public health and safety. Rather, private-property rights and contractskey institutions of civil societymade the urbanization demanded by a fast-growing economy and population rapid yet orderly. David Beito (chapter 3) shows how developers created the private self-governing enclaves (or private places) of St. Louis, complete with private streets, sewers, electricity and even private governance structures. Residential developers of this period anticipated many of the techniques used by modern urban planners. But they faced market-incentives and constraints that spurred innovation and avoided the wastefulness and hubris that often characterize their modern counterparts. During the early 19th century, private enterprise in both the United States and Britain also produced networks of highways that facilitated travel and trade. Daniel Klein (chapter 4) traces the efforts of turnpike companies of early America to replace the earlier system of governmental highways, which had fallen into decay by the late 18th century. Private entrepreneurs have also created large-scale industrial communities with complex physical infrastructure and services. Robert Arne (chapter 5) explains the complex workings of Chicagos Central Manufacturing District, with its well-functioning docks, local and rail transportation, electricity, and many business services. Is law possible without the state? Surprisingly, the answer appears to be yes. Bruce Benson (chapter 6) investigates the Law Merchant: the voluntarily evolved and enforced legal system that governed trade among international merchants. The Law Merchant filled the vacuum left by the fall of the Roman Empire, when merchants themselves created a dispute-resolution system that all parties regarded as fair. Today, arbitration and conflict-resolution businesses, like the Law Merchant of yore, offer many advantages over state systems, and have even spread to environmental mediation and community disputes. Stephen Davies (chapter 7) shows how, in the 19th century, local communities and private prosecution associations provided criminal justice. Can private initiatives provide crucial social services? David Beitos second contribution to this volume (chapter 8) discusses the fraternal societies that arose during the 19th century to look after their members before the rise of the welfare state. Millions of Americans received health and life insurance through fraternal, mutual-aid societies. David Green (chapter 9) discusses the friendly societies of Britain and Australia. Like law and poor relief, education is another service that was adequately provided by private initiative in the 19th century. James Tooley (chapter 10) shows that prior to state involvement, literacy and school attendance rates in England, Wales, and the United States were 90 percent and rising. In many developing countries today, a large private-education industry exists to alleviate the failure of government-run schools. Community life is shaped in countless ways by governing institutions. In search of more livable communities, millions of Americans have turned to living in proprietary communities run by private homeowners associations. Fred Foldvary (chapter 11) presents the theory and history of proprietary communities, and explains how they can deliver the public goods (and services) that many assumed only governments could provide. 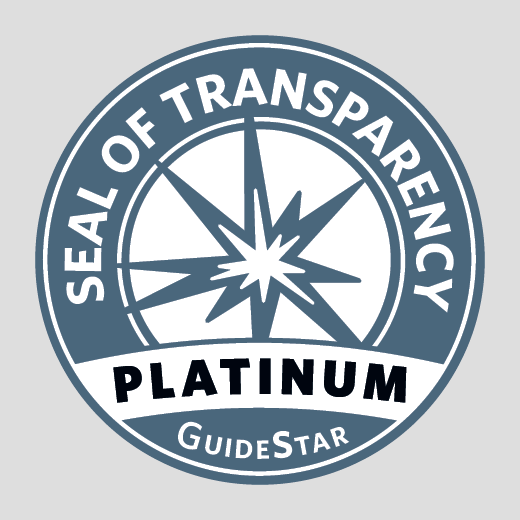 Donald Boudreaux and Randall Holcombe (chapter 12) argue that in many respects the governance structures that arise in the market (e.g., condominium associations and corporations) outperform those of conventional cities and towns, which never deviate from the rule of one personone vote. Robert Nelson (chapter 13) explains how older established neighborhoods can gain the advantages of proprietary communities. His proposed Residential Improvement Districts would give inner-city residents greater control over their neighborhoods, enhance personal safety, and improve the use of land and local resources. Spencer Heath MacCallum (chapter 14) suggests that multiple-tenant income properties are a stepping stone on the path to a hotel model of residential housing. Unlike political communities, private hotels offer some of the services provided by municipal governments but without their coercive wealth redistribution and wealth-draining battles for control. There is no reason why the hotel model should not be applied to residential homes leased for long periods, he argues. In the concluding chapter, Alexander Tabarrok shows how economists have failed to adequately explain to policymakers the historical scope of private initiative. Theories that assume that the marketplace cannot provide public goods are often theories with little empirical basis. The theory of market failure needs to incorporate a theory of government failure. Market-failure theory, in fact, is better understood as market-challenge theory. Market-challenge theory can identify areas where empirical investigation is likely to be especially valuable and interesting. But empirical investigation may discover market failure, or it may discover practices and institutions that help markets to succeed in the face of challenges. In sum, The Voluntary City remedies this deficiency of contemporary urban decline by investigating the history of large-scale, private provision of social services, the for-profit provision of urban infrastructure and community governance, and the growing privatization of residential life in the United States. The strength of The Voluntary City lies in its examples of how market-based entrepreneurship, rather than politics-as-usual, has shown itself to be well equipped to provide local public goods. The Voluntary City further suggests that in the process of providing local public goods, market-based entrepreneurship can renew community and strengthen the bonds of civil society. A refreshing challenge to the orthodoxy that believes that government alone can improve community life, The Voluntary City will be of special interest to policy-makers, business and civic leaders, scholars and policy analysts, and students of urban life, economics, history, law, and government. David T. Beito is Associate Professor at the University of Alabama. He received his Ph.D. in history at the University of Wisconsin in 1986. Professor Beito is the author of Taxpayers in Revolt: Tax Resistance during the Great Depression and From Mutual Aid to the Welfare state: Fraternal Societies and Social Services, 1890-1967. An urban and social historian, he has published in the Journal of Southern History, and the Journal of Urban History, among other scholarly journals. He is currently writing a biography of Dr. T. R. M. Howard, a black civil rights pioneer, entrepreneur, and mutual-aid leader. Peter Gordon is Professor in the School of Policy, Planning, and Development and in the Department of Economics at the University of Southern California. He received his Ph.D. from the University of Pennsylvania in 1971. Professor Gordon has published in most of the major urban-planning, urban-transportation, and urban-economics journals. He has consulted for local, state, and federal agencies; the World Bank; the United Nations; and many private groups. Professor Gordon is coeditor of the journal Planning and Markets, an all-electronic refereed journal. Alexander Tabarrok is Vice President and Research Director for The Independent Institute and Assistant Editor of The Independent Review. He received his Ph.D. in economics from George Mason University, and he has taught at the University of Virginia and Ball State University. Dr. Tabarrok is also the editor of the Independent Institute book, Entrepreneurial Economics (Oxford University Press). His scholarly articles have appeared in the Journal of Law and Economics, Public Choice, Economic Inquiry, Journal of Health Economics, Journal of Theoretical Politics, Review of Austrian Economics, Kyklos and many other journals. Dr. Tabarrok is the recipient of the Snavely Award, and he has been an Earhart Foundation Fellow and George A. and Frances Ball Foundation Fellow.